With its motto, 'Vorsprung durch Technik', meaning 'progress through technology', Audi is renowned for intelligent technical designs. Since being popularised in the United Kingdom over 50 years ago after introducing exceptional vehicles like the Audi A7, Audi has prospered, becoming one of the nation's leading premium automotive companies. Price checks on our used Audi A7 cars are conducted on a daily basis at Dace Motor Company Ltd, so we know that ours are the lowest prices in Stockport! 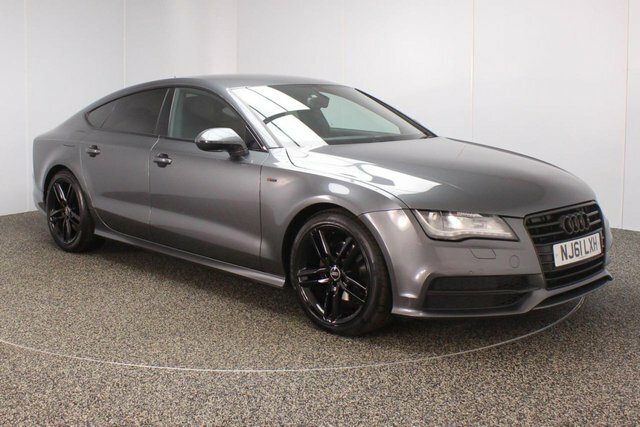 If you find the exact Audi A7 vehicle at a specialist car retailer, we can beat their price! Give us a call to arrange a test drive, in any of our vehicles. Alternatively, Dace Motor Company Ltdis under 30 minutes from Stockport via the M60, so make your way here to see our latest vehicle range in detail!